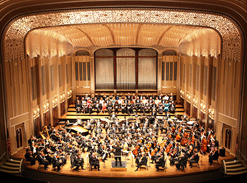 Performing Arts Consultants is proud to present our newest festival, The Hall of Fame Classic Music Festival, in Cleveland, Ohio. Known as “The Rock and Roll Capital of the World,” the Cleveland metropolitan area is home to world class sightseeing and musical opportunities, including the Rock and Roll Hall of Fame, Cedar Point – The Roller Coaster Capitol of the World, the Great Lakes Science Center, Cleveland Orchestra (one of the “Big 5”), and more! We hope that you will join us in Cleveland in 2018!